Ideas for Decorating & Remodeling or Dreaming! Have you been over to check out Room Tours lately? If not, you’ve been missing out on these great featured kitchens! 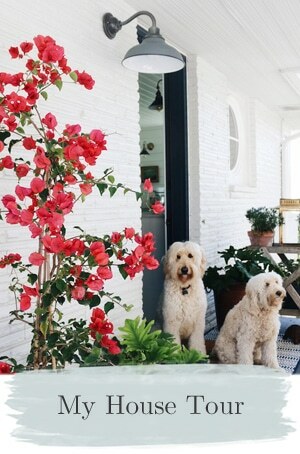 These white kitchens are fabulous, charming and oozing with personality … just the way I like ’em! Check out these beautiful kitchens (you can click on the image to get to the feature) or see all of the wonderful kitchens and all the inspiring Room Tours so far! 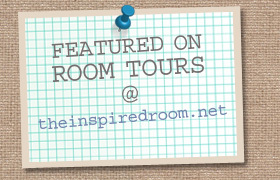 If you’ve been featured in Room Tours, you are welcome grab a button for your blog! We appreciate the inspiration! Oooh! Great pics! White kitchens have been growing on me more and more over the last couple of years!! I dream of cream! LOL! I love those white kitchens! Thanks for reminding me of this tour! I love it!! I am about to do a kitchen mini-series! I have some ideas, but this is great! We have a metal door that leads to our garage that i painted with chalkboard paint – i Love it – i can write myself notes but it also works with magnets so serves double duty. Love your site. Thanks for doing this little tour. I absolutely LOVE white kitchens and wish we had been able to do that in our new home. I like what we have, but always dream of the white! Maybe one day I will buy some paint and go to town! Sigh. I love white kitchens. LOVE white kitchens!!! When we remodeled our kitchen, 2 years ago, I finally got my beloved cream cabinets. While I adore the look, I have to say that I am so utterly frustrated with the paint chipping, and all the dings and dents that show up. I thought that maybe it was just my cab’s, even though they are high end custom cab’s; however, the more people I talk to that have white cab’s, the more I find that are also frustrated by this. Would this stop me from ever having another white kitchen? Probably not =) I still am in love with them, but this is one thing I didn’t think of before we installed ours, and wish I had known about. I’m totally just fantasizing about re-doing my kitchen! Can’t wait!!! I love a crystal chandelier in the kitchen!!! It makes it just a touch more special! I love white kitchens. 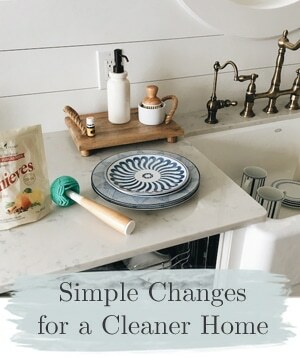 They aren’t hard to clean, they just show the dirt that would still be there in a dark kitchen. You just can’t ignore it for weeks on end because you can’t see it. I guess you gals are right. Lol. I have all white cabinetry and I usually look at it one day and suddenly all I can see is drips and stains that I haven’t noticed before. Then I have to go on a mad cabinet magic erasering. Lol. There is something fabulously dreamy about a white kitchen! Someday I hope to have one of my own. 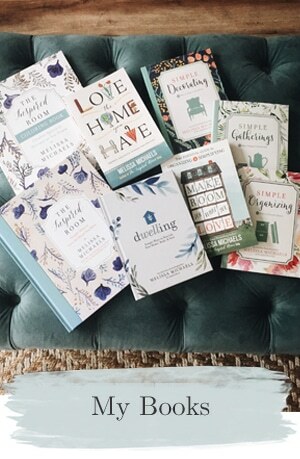 All of them are gorgeous, but I absolutely adore Joan’s kitchen at For The Love of a House. She hit exactly the right balance with all of her finishes, colors, and touches for a beautiful space. 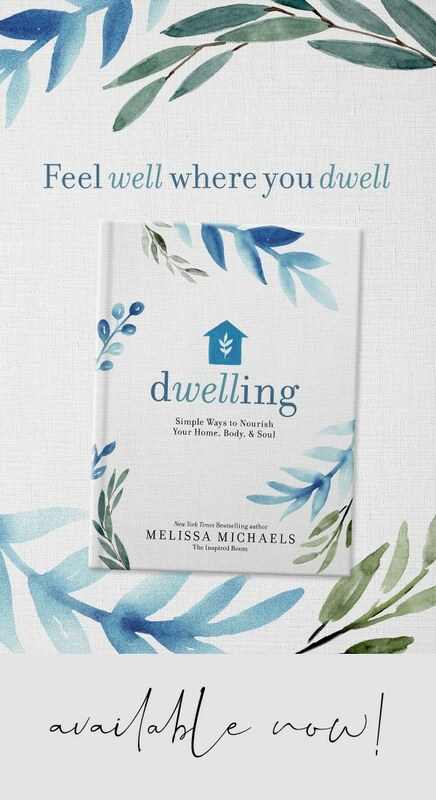 Loved this post, Melissa! Thanks for the heads up. #3 is my fav, reminds me of my kitchen with the wood countertops. I love having white cabinets but I do have to clean them more often than my old green cabinets. But I think it is like white slipcovers, you see the dirt so you clean more often. But just like a dark couch the dirt is still on the cabinets whether you see it or not! I’ve been gone for awhile- boy have I miss a lot. Such goodness going on around here. I am so glad you posted this today! I have been missing out on your room tours page. What a delight to click on each one of these kitchens and drool away. Gorgeous! Great inspirations. I’ll be painting mine white.It’s so dark and dreary now. I love these, Melissa. Thank you for sharing inspiration. We painted our cabinets a few months ago, and I thought you might want to see. These are great pics. Our kitchen is a white kitchen. I love the brightness of a white kitchen. Bu they can still feel warm. What a nice thing to find here today, I’ve not had time to stop by in awhile- you keep me hoping- OH YES! White Kitchens. I’m heading there, as soon as I finish the laundry room, it’s painted, just a few more things to do in there and it’ll be done soon. Thanks for my needed dose of white kitchen inspiration!!! A white kitchen is my someday, dreamy, future kitchen. For now, I’m living in the reality of having a messy, slobbery mastiff whose drooly tendencies might not mix well with all-over white. At least the peachy wood looks better with turquoise walls than it did with yellow. I am so flattered! 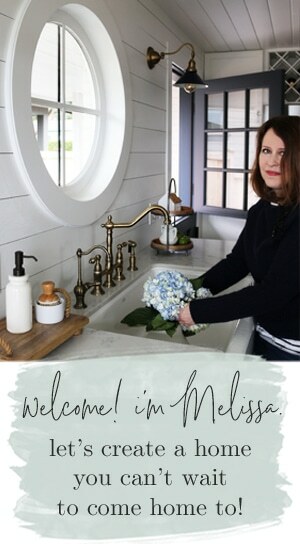 Thanks so much for featuring my little ‘ol kitchen – so fun:)! I just finished repainting my kitchen. Your blog was a HUGE inspiration for me. Thank you so much. I have had many colors in my kitchen and decided I wanted to go cream on cream. I was nervous but as of today, I LOVE IT. This blog inspires me every time I look at it. love the blue lighting in #4! 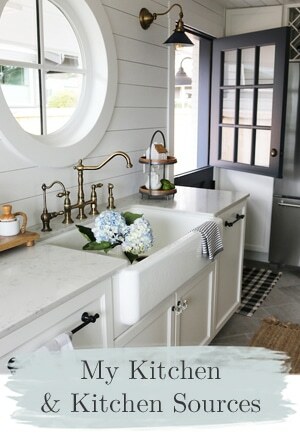 painted cabinets are fab- I love cream kitchens! Thanks!